If you’re looking for an extraordinary vacation, let Villa Athina take your breath away. The four-bedroom property delivers an exclusive, pampering experience, gorgeous location and beautifully designed interiors. The Villa is defined throughout by minimal design utilizing metal and wood and oozing an essence of natural opulence. It features two floors and can accommodate 8. The inside of the home is bright and spacious, offering 230 square meters of open plan comfortable living areas. On the ground floor you will find a cozy living room, a top-of-the-line fully equipped kitchen ideal for preparing delicious meals and a double bedroom with en-suite bathroom. A shaded terrace is furnished with a dining table creating the ultimate outdoor dining environment. The large panoramic windows offer endless views outside of the home. The stairs lead you to the second floor which includes 3 double bedrooms with en-suite bathrooms. One bathroom features a Jacuzzi bathtub and the others a modern shower. Two of the bedrooms enjoy amazing sea views while the other two look over the garden and surrounding countryside. 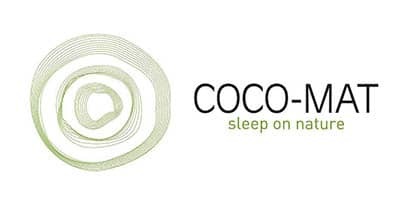 All rooms are fully equipped with Coco-Mat beds (there are top quality natural mattresses and sleep products) and include air conditioning and led TVs. There are sunbeds by the private swimming pool (40 square meters) as well as indoor parking and a barbeque. The villa also includes an alarm system to ensure guests’ safety.